How to finally get rid of those pesky old habits that no longer serve you. Habit-making is simply what our brains do. They’re designed to create neural pathways that provide the best results. So, when a desire triggers a reaction that in turn satisfies that initial urge, the brain takes note. The next time that desire arises, the brain calls up the circuitry that got the job done before. Part of this is neurochemistry, says psychologist and author Elisha Goldstein. When an urge is satisfied—whether for soothing, attention, or any other response—we experience a rush of dopamine, the neurochemical associated with feeling good. After a few blasts of dopamine, we start to crave more, which then drives us to indulge in the triggering behavior, be it eating fast food, checking your phone, or lighting up a cigarette. Voila! You have a habit. When we understand how a habit forms, we have a greater chance of catching it in the act, and take steps to make a more considered choice, says addiction psychiatrist Judson Brewer. Think about a nagging habit. Next time you feel moved to act it out, see if you can trace each step. Can you see how the habit reinforces itself? Recognizing the patterns of our habits—the trigger, the impulse, the brain’s learned way to satisfy that need—is just part of the process of unwinding them. There also needs to be an intention to do things differently, tied to something that deeply matters to you. Or as Stanford University health psychologist and author of The Willpower Instinct Kelly McGonigal says, it means identifying the “I want” power that will reinforce your “I won’t” power. Habit-making is what our brains do. When you get clear on your want—the deeply personal reason for wanting to make a habit change (hint: “I should” isn’t one of them)—then begins the work of strengthening your ability to choose differently (aka, willpower). But as anyone who has tried to diet or commit to exercise knows, saboteurs to our will abound. This is when psychologist Christopher Willard recommends employing the acronym HALT. Hungry: Impulse control involves a complex dance between the prefrontal cortex and the hippocampus, with a little help from other parts of the brain also involved in foresight and decision-making. Any shortage of calories will short-circuit this hub of activity, making it difficult to activate your willpower. Angry/Anxious: When we feel angry or anxious our bodies can slip into fight-or-flight mode, where we start operating from the most primitive parts of the brain and nervous system. In this mode, some of the rational parts of our brain shut down, decreasing our ability to think and reason through things, or even consider the long-term consequences of our actions. 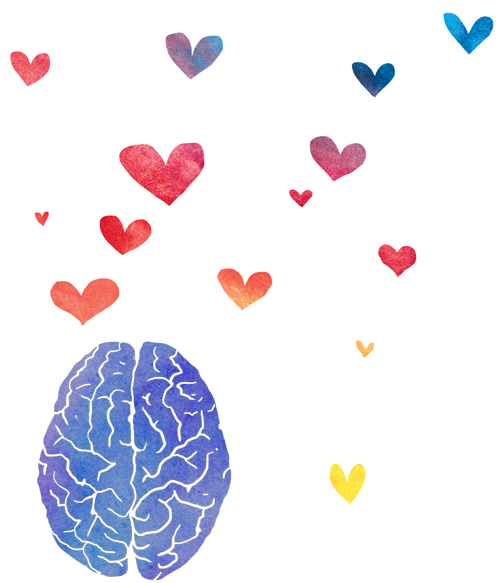 When your emotions are running high, take a few slow, mindful breaths to quiet the nerves and activate your more rational brain. Lonely: When we tell other people about a commitment to change a habit, we’re far more likely to follow through. Introvert or extrovert, we all need to strike a balance between solitude and socializing. Consider what is the best balance for you, and share your goals only as widely as you feel comfortable. Tired: When we’re tired, our self-control and willpower slip away, an effect known as “ego-depletion.” (A poor night’s sleep can even knock you down a few IQ points.) Establishing healthy sleep habits is not only integral to your self-care, it’s also essential for your deeper goals. Research shows that when we criticize ourselves, it actually short-circuits the brainpower we need to unwind old habits and adopt new ones. Criticism (self or external) causes the same fight-or-flight impulse, limiting access to the higher functions of the brain, like being able to see the bigger picture, explains life coach and mindfulness instructor Carley Hauck. “Criticism makes us feel more anxious, more depressed, and more afraid of failure.” If you regularly tell yourself you “can’t” or that you’re not enough in some way, try using a more compassionate and understanding tone instead. Once we can be compassionate in our thinking, we can figure out the next best step to take toward the change we want. Elisha Goldstein reminds us that mindfulness helps build the resilience to resist giving in to urges that foster unhealthy habits. Visualize the circumstances that typically trigger an urge. Notice what thoughts and feelings arise in the body. See if you can identify where you feel that urge physically, but don’t engage it. Instead, relax the body and tune in to your breathing, in and out. Staying with the breath, watch how the feeling grows, peaks, and eventually falls away. In doing this you’re training your brain not to engage the craving and to recognize the urge as impermanent. Start off with this visualization, and then bring it into the rest of your life. But internalizing habits only perpetuates the behavior and limits your ability to see a different possibility. The next time one of your habit-derived identities pops up, challenge it. Ask yourself, Is this really true? Is it true that “I’m an angry person” or “I don’t have the willpower to quit”? Or is this a belief or storyline I’ve developed that isn’t solid, is not “me,” and can be let go of?